Is Safe Drinking Water Really Safe? Life is so precious. We only live once that's why we must nurture our mind and body the right way. Life is like water, it's one of the most important substances on earth. A man can live days without food but definitely not without water. Water is important and has many uses in our lives. One of the many uses of water is to satisfy our thirst. Let's talk about drinking water and how 'safe' potable water nowadays. The article posted by Rappler entitled "How safe is your drinking water," is a mind-opener. 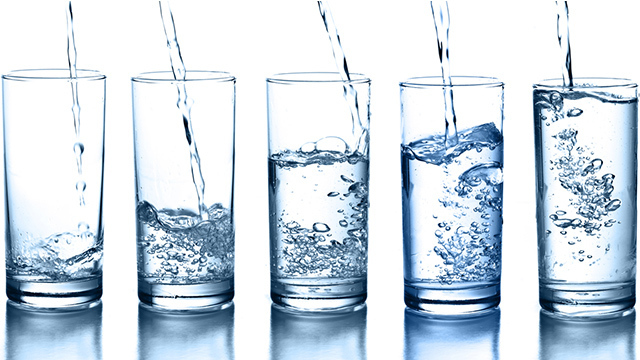 With easy access to drinking water nowadays, I think some of us are not sure if those mineral/purified drinking water are really safe to drink. But there some individuals who are very easy to persuade. I mean, as long as they see a sanitary permit or if the seal of the bottle is tightly closed then there's nothing to worry about. But for me it's way beyond the superficial. For more information about the article which contains facts and figures, you can click the link I posted above. Anyhoo, I want to share a not so good experience with water refilling stations. Because of what we had experienced before, I feel not safe with mineral and purified drinking water bought from the refilling stations. Yes, they are in a decent place, they passed the standards that's why they have license to operate but after these processes, the assurance that the mineral water sold are really clean and safe to drink doesn't stop there. From my experience, we bought a gallon of mineral water in a nearby refilling station. Knowing that they have many customers and we're recommended by our neighbors and family friends, we have a peace of mind that we are drinking clean and safe water. Not until the day that we bought a mineral water that smelled vanilla essence. We assumed that the container was used by another customer in making 'gulaman' and the refilling station wasn't able to clean the gallon properly. So there, the negligence of the workers that refilling station in keeping the containers clean leaked because of our experience. What if it's not 'gulaman'? What if some inconsiderate customers have used the container to store other kinds of liquid that we don't know. In the first place, these containers are supposed to be used for mineral/purified water only. But that's the truth I guess, we'll never know if the water that we deemed pure and safe is really safe. I'm not generalizing that mineral and purified waters sold in the market or in the refilling station is not safe. It's just that I think we need to be more vigilant and be mindful that these establishments are in following strict rules in terms of handling, preparing and storing the water that our family will drink. If we really want to make sure that we are drinking pure and clean water, I guess having an in-home water purifier will make us feel secured. We value life that's why we need to make sure we are what we drink and what we eat are clean, right? If we drink contaminated water, we are risking our lives because we all know that there are different kinds of diseases that we can get from contaminated and unclean water. Let's be vigilant and put the safety of our family at first. It's also our responsibility to make sure that we drink clean and safe water for the welfare of our family. What's your stand on the article? Share your thoughts below. Oh my! Good that you were able to smell the difference! You're right; the negligence of other people can cause us harm. It's not safe to easily trust now. We must be more cautious. It's amazing how you are able to tell the difference. I have a water filter and I will make sure to use it to test if our water is safe for drinking.